Nearly all teenagers are excited and eager to get behind the wheel and enjoy their new freedom that comes along with a driver's license. Unfortunately, teen drivers in Massachusetts and nationally are much more likely to be involved in a car accident than other older drivers. Mainly due to inexperience and immaturity, teens are more likely to make poor choices behind the wheel, such as speeding, texting-while-driving, driving recklessly, etc. Also, teens are more likely to pile too many passengers into their car, creating more distractions and safety hazards in the event of an accident. The experienced Boston car accident lawyers at Bellotti Law Group, P.C. understand that car accidents involving teen drivers are some of the most emotionally difficult to endure for victims and their families. Coping with serious injuries or death of a young person involved in an accident is one of the worst tragedies imaginable. Our attorneys work closely with victims and their families to get their necessary medical treatment covered, so you can focus on recovery. Contact our Boston, Cambridge, or Quincy office today at 617-225-2100 to speak with our experienced car accident attorneys. Teenage drivers, especially in their first year with a license, face frightening statistics regarding injuries and fatalities caused by car accidents. Most often, inexperience behind the wheel is the root cause of teen accidents. For example, teens are four-times more likely than older drivers to receive a driving citation. They also speed and operate under the influence at higher rates. According to the National Highway Traffic Safety Administration (NHTSA), sadly, there are over 2,000 teenagers killed in car accidents each year and over 200,000 more sustain serious injuries. In Massachusetts alone, there are more than 5,000 car accidents involving teen drivers, resulting in around 50 fatalities each year. 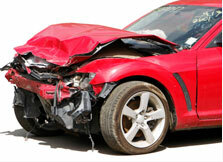 The experienced Boston car accident attorneys at Bellotti Law Group, P.C. also know that there are plenty of cautious and respectful teenage drivers. Just because a teenager was involved in an accident does not automatically make them liable. Our attorneys examine each accident as thoroughly as possible and will fight for teen drivers who are not at-fault, but experience prejudice because of their age and inexperience. Our lawyers also know that following a car accident, there are many avenues to explore when filing a personal injury or wrongful death suit. Claims can be filed against the vehicle owner, his insurance policy, and possibly any insurance policies on other vehicles in the driver's household. In short, we consider each and every legal possibility to obtain victims and their families the most adequate compensation possible for their damages. We also have decades of successful experience negotiating with insurance companies and medical providers and will put our experience and skill to work for you. We will tailor a unique strategy that best meets the circumstances your individual case presents. Contact the Boston car accident lawyers at Bellotti Law Group, P.C. today at 617-225-2100 to speak about your options in filing a personal injury or wrongful death lawsuit. We provide a free and confidential case evaluation and will hold liable drivers accountable for the pain they have caused victims and their families.